Alzheimer's Society is an organisation which works to improve the quality of life of people affected by dementia in England, Wales and Northern Ireland. carehome.co.uk is the market leading Care Home resource in the UK, featuring the most comprehensive, trusted and detailed database of UK Care Homes & Providers, as well as Suppliers, Authorities & Associations to the UK Care Industry. The Cornwall Mobility Centre, a Registered Charity, provides a range of specialist services and equipment for people throughout the South West Peninsula to help with independent mobility. Financial support of disabled people enabling them to live in the community rather than a residential home. Macmillan is a UK charity supporting people with cancer and their families. Parkinson’s support and research charity. For more than 40 years we've been working to find a cure and improve life for everyone affected by Parkinson's. This site contains information for nursing home owners and staff; for people seeking a nursing home place; and for members of the public with an interest in the care of older people and those with disabilities. 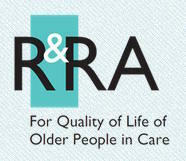 We support, inform and campaign on behalf of older people in care. The Relatives & Residents Association is calling for a complete overhaul in the way CQC operates its regulation of care homes for older people.